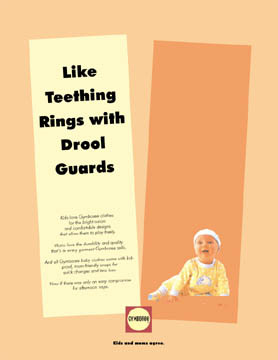 Headline: Like teething rings with drool guards. Body copy: Kids love Gymboree clothes for the bright colors and comfortable designs that allow them to play freely. 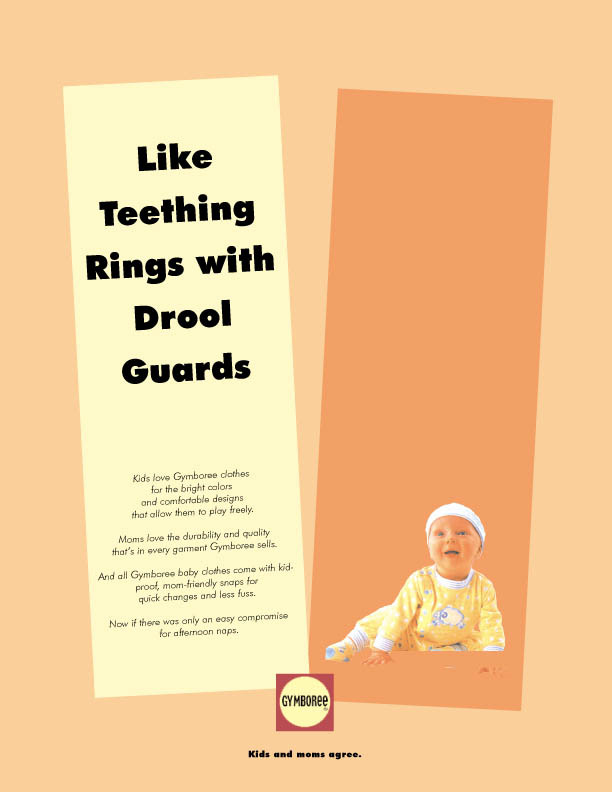 Moms love the durability and quality that’s in every garment Gymboree sells. And all Gymboree baby clothes come with kid-proof, mom-friendly snaps for quick changes and less fuss. Now if there was only an easy compromise for afternoon naps. Tagline: Kids and Moms Agree. Gymboree.